Now that the farcical Republican-run House Intelligence Committee has folded up its treasonous tent, Speaker Ryan is, yet again, feeling all warm and smug. He loves smug. He bathes in it. For Ryan and his crew it's all "Nothing to see here, folks." Nothing to see here if you don't want anyone to see it is more like it. The word is cover-up. The Republican Party thinks they can make reality go away but all they have done is confirm their role in acts of treason against the country they live in and acts of treason against the people who pay for their salaries and medical care. In some ways, that makes them worse than Trump himself. You get to decide who's worse, the perps or those who abdicate their responsibility to the constitution and their oath of office to cover up for the perps. That last thought brings me to these thoughts: So many people have placed a ton of hope on Mr. Mueller. 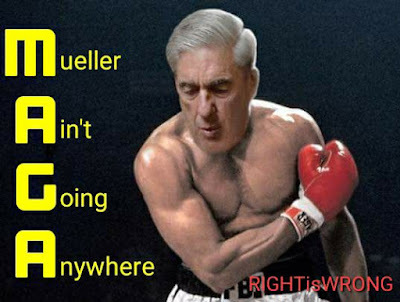 I'd like to think that he really does have the quality of ultimate integrity, but, at the same time, I realize that a guy like Mueller is of and for the establishment. I remember the Nixon years. I remember when Archibald Cox and others were investigating Nixon and I remember thinking, as I still do, that Cox's job was to throw a bone to us in our outrage but never reveal just how horrendous and treacherous Nixon's actions, and where those actions led, had been. We got just enough to make the case that Nixon had to go, and, nothing more. In the end, Nixon was forced to resign or be impeached. He ended up resigning and was then pardoned by, Gerald Ford, the man he, himself had supposedly chosen to be VP after his first VP resigned in criminal disgrace. Nixon got to walk away with his full pension and live out his days in sunny California. In other words, the fix was in. Ford said no one wanted to see the president go to jail (total bullcrap). He pardoned Nixon for his crimes, known and unknown, the powers that be in both parties, along with the federal judicial system, agreed, washed their hands of the whole thing, and that was it. It was a textbook example of Washington taking care of its own. Nixon, a criminal, lived off our taxpayer dollars until the day he died and went to well-deserved Hell. Once the Nixon pardon was executed, a precedent was set. Politicians smirked knowing they could do just about anything, including conspiring with a foreign power to sabotage a peace accord in order to get elected even if that act of sabotage resulted in thousands of unnecessary deaths of Vietnamese civilians, Vietnamese military, and American military. In that context, how would they treat a current president who accepted the help of an adversarial power in order to get elected, whether he instigated the scheme or not? I like to think that Mueller will dig out everything and that we will actually get to know everything, that we won't have a scenario where we get just enough and only enough to give us a plausible but superficial story. I'd also like to think that, if everything is revealed and it's as bad as it looks right now, our politicians would allow full justice to take its course. I won't hold my breath. I've seen the movie before. If I was foolish enough to believe Washington won't again take care of its own, I'd be as foolish as those who voted for Trump. Pardoned? Play your cards right and you can commit multiple felonies and be canonized by your base: Saint Ronnie & Iran-Contra! Finally someone who thinks like I do wrt Mueller. I've said all along that his job isn't to find the truth. It's to stall until after the election so that the Rs suffer the least damage. If that means getting rid of trump earlier, so be it. I'm sure pence will issue pre-emptive pardons just like Ford did (which destroyed Ford's legacy as a statesman, btw). It means that all the profiteering and nepotism by the trumps will be "legal" from now on. Can President for life Mercer be far away?